For Fashion Design courses focusing on apparel manufacturing or machine knitting. 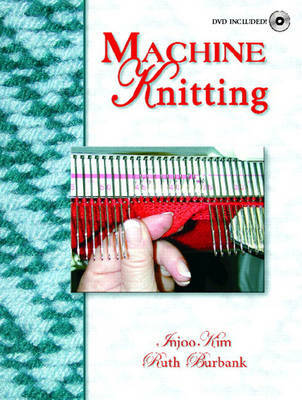 The only beginners machine knitting book on the market to use both text, pictures and CD video clips in an effective, user-friendly format. This complete basic introduction to the fundamentals of knitting machine operation presents clear step-by-step instructions and diagrams for the methodology and principles used in machine knitting. Coverage ranges from individual techniques to the creation of entire garments, including creating fabric with original patterns, stitch designs and textures.